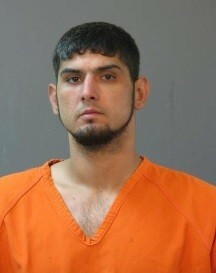 For the past two weeks the Calcasieu Parish Combined Anti-Drug Task Force (CAT Team), Calcasieu Parish Sheriff’s Office Financial Crimes Division, Beauregard Parish Sheriff's Office, Sulphur Police Department and Vinton Police Department all received complaints regarding Derrick V. Monk, 29, Lake Charles, laundering counterfeit money at several businesses. On July 28, the CAT Team observed Monk leaving a business on McNeese Street in Lake Charles and detained him on a warrant from Vinton Police Department in reference to counterfeit money. During further investigation it was learned that Monk was in possession of several counterfeit notes, as well as drug paraphernalia. CAT Team detectives received information that led them to a residence where Monk may be keeping items used to make counterfeit money. The home owner gave CAT Team detectives consent to search the residence where they seized several items that are used to make counterfeit notes along with drug paraphernalia. Monk was arrested and booked into the Calcasieu Correctional Center and charged with monetary instrument abuse; and possession of drug paraphernalia. His bond is still pending.